With technology empowering our lives in every aspect, there has been a crave for perfection, feature rich solutions, hassle free application development, migration and many more. Offering best class of services and smooth user experience has become the prime motive of all business owners. So, while creating a website or an app for your business, Sitefinity often comes to mind as it is a highly customizable CMS that offers rich features, custom modules and responsive designs. 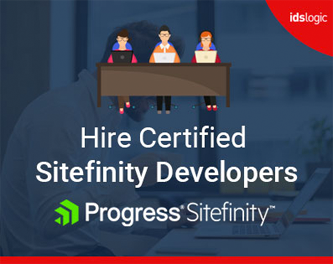 Since the first launch of Sitefinity, many versions have come up with more and more rich features that are capable of meeting the changing demands of both the customers and the business owners. 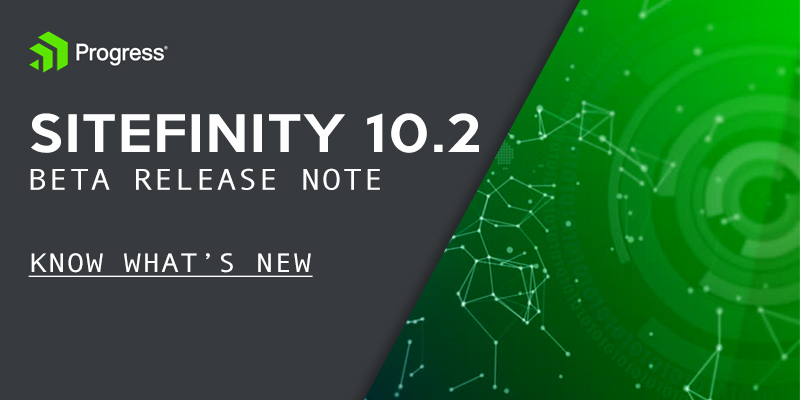 Sitefinity 10.2 beta version is announced and is now available for download, but it is not yet production ready and so it is better not to use on live sites. With the latest updates in Sitefinity, you can now make an easy shift of your marketing campaign efforts from your assumptions to knowledge by running the A/B tests that allow to experiment with variations of the original page and help to measure the changes and identify those performing better in terms of making the visitors attain their desired goals. The different pages are displayed to the visitors at random at traffic distribution that are set for a specific time period. You are also able to explore the statistical analysis and performance results and the effects of the change. This will help you to decide which variation is the best and has optimized the page according to an expected outcome. Not only this, you also have the opportunity to work with layouts, forms, content elements, images, social sharing options and many other components of your pages. With the latest version, the .NET complier platform is now used as a default, and due to this it is now possible to achieve, 6-10 times faster pages and templates compilation that results up to 5 times faster page load based on the performance of the other components related to page load. You now have the ability to register and use the OWIN middleware components to your site and you have the flexibility to choose from thousands of components that belong to different areas of application. You can now integrate them easily in the Sitefinity CMS. Some components include: App Metrics/ Logs, Firewall, Output Cache, Static Files, Security Headers, Compression, Signal R/WebSockets and etc. By adding the OpenGraph fields to the modules matching a naming convention, you can now expose the appropriate description, titles and image for your content items when they are shared in the Facebook. The Sitefinity CMS will now automatically consider them into account and also create the appropriate meta information in the generated HTML pages. The Sitefinity 10.2 beta version allows you to stop web tracking and collecting the statistical data related to the visitors who have not offered their consent for using the cookies. A dialogue is displayed on the pages of the website, allowing the visitors to either accept or reject the tracking process. This web setting has an impact on all the web tracking options offered by the Sitefinity CMS that includes the Sitefinity DEC, Marketo, Google analytics, Oracle Eloqua and etc. The Sitefinity CMS SEO automation functionality generates dynamic page URL and title when the content is rendered in the detailed mode. The meta description tag of the HTML page is taken from the Page SEO settings and they remain the same for all the contents that are displayed on the page. If you want to render the specific meta description and meta title per content item, you should first turn the meta fields functionality for the MVC widgets and then make the necessary configurations.